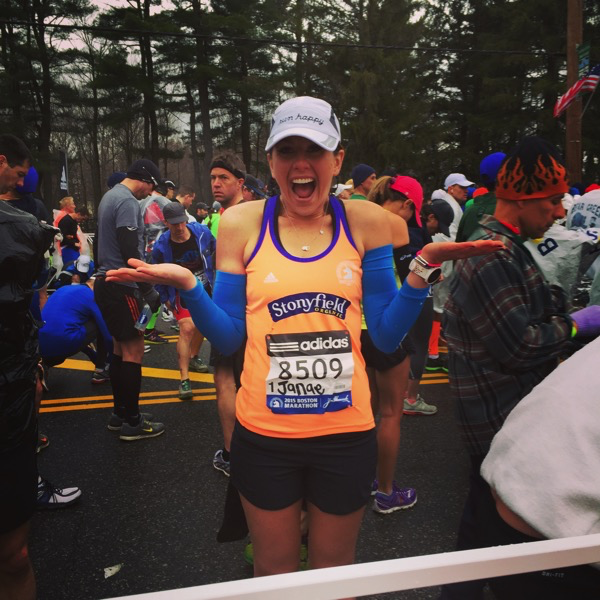 I’ve done the Boston Marathon ONE time so I don’t feel like I am an expert (or even close to one) but there were a few things that I learned from my 2015 experience. Here are a few things that I will do again the next time I run Boston. Prepare for a later race-day start! For the last few Saturday long runs leading up to Boston, I started later on in the morning, around 10 a.m., in order to practice my race morning breakfast, fueling and start time. It’s crazy how much starting a few hours later than you are used to can mess with things so be sure to practice your race day routine. This tip really works for every marathon. 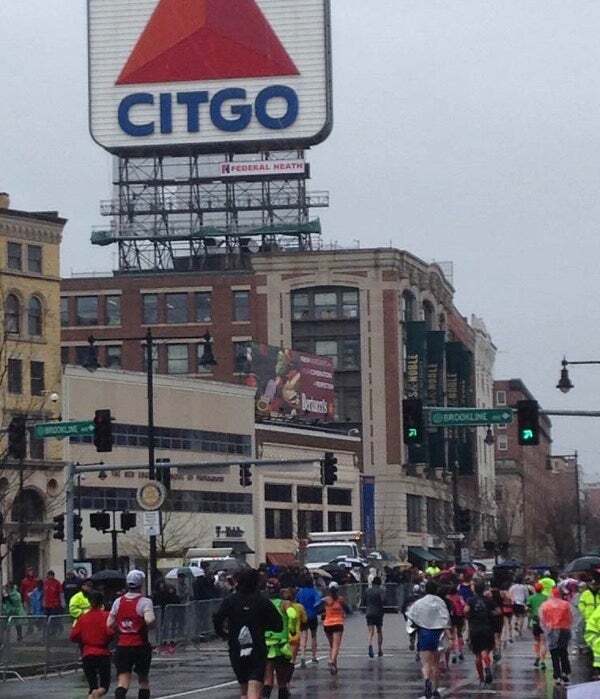 Boston has had some pretty extreme weather for the marathon, but freaking out over it isn’t exactly going to help you. If you do know leading up to the race what the temperatures are going to be like, then try to get in some runs in similar conditions to get your body ready. Last year I didn’t really hear anything about the weather (cold and really really windy/rainy) until I boarded my plane to Boston. It was hard for me to not think about it constantly but worrying about it took away from all of the other amazing things going on all weekend. It is what it is. Focus on what you can control and tell everything else to bring it on. Be prepared to be emotional. Very emotional. I can think of five different spots along the way where I cried. The energy, the build-up to the race, the history behind everything and running my dream race made the tear ducts unstoppable. DO NOT (I repeat, do not) fly home right after the race. Try to avoid what my friend Candice and I did. We both had kiddos to get home to. But goodness, it was stressful trying to get out of there and to the airport on time for our flights. 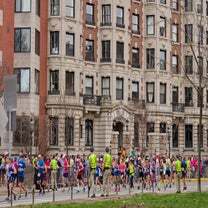 If you can, try to plan a long run course similar to Boston. For the next few weeks, planning similar long runs can help you hold back a bit on the downhills in the beginning and then work hard for those final hills. If you live in Utah Couty, I liked starting some of my long runs up South Fork Canyon to get downhill for a solid 10 or so miles into provo and then run up to the hills by the Provo Temple to get in some legit hills on tired legs. My friend Josse is the best person to travel with because she struck up conversations with all of the runners we came across during the marathon weekend in Boston. We met SO many amazing people from all over with incredible stories of how they got to Boston. Be prepared to be really close to people for the first few miles. I felt like we were packed sardines for a long time.The first 2-3 miles felt super crowded. But then after that I felt like I always had people around me but that I had plenty of room. Avoid wasting your energy in the beginning dodging or running around people to pass them. You’ve got 26.2 miles ahead of you so use your energy wisely. However don’t get caught up in going out faster than you should just because people around you are (this is always really hard for me)! Bring plenty to the starting corral. Bring your snacks, drinks, magazines, warm clothes, whatever you need…you are going to be there for awhile. The atmosphere is incredible though so you will be very entertained by everything around you! Let all of the awesomeness of Athletes’ Village take your nerves away. For most marathons I really tend to zone out and just focus on my splits/pace/form/boring stuff but for Boston, I really took it all in. I high-fived kids, took candy from some spectators, read all of the signs, smiled, cried, you name it—the crowds can’t be beat so enjoy them. 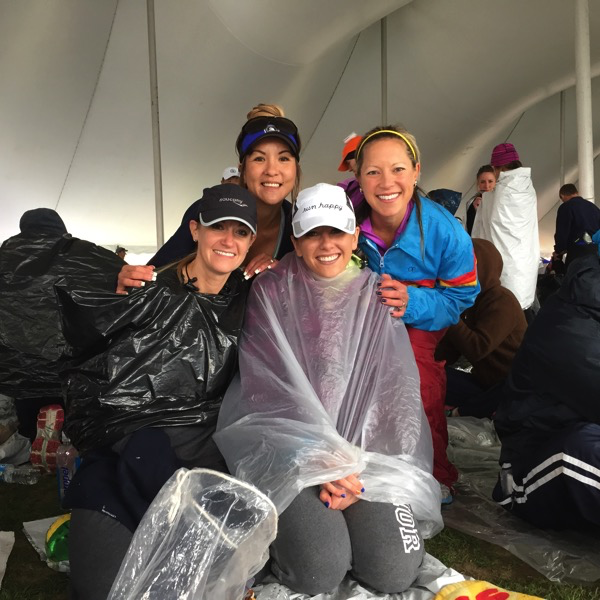 Pack warm/dry clothes (and a sports bra) in your gear bag to change into after the race. It’s not like you can just jump into a car and get warm. Many runners have quite the hike back to their hotel. Last year I was shivering. Even if it is a warm day, dry clothes to change into can help you to enjoy the post-race festivities more. Be prepared for Heartbreak Hill. The hill is about 2K long with a 3-4% grade. I felt like it wasn’t the hill itself that was crazy difficult, but more the placement of the hill late into the marathon is what made it hard for me. Know what is coming and save some energy for it. Use the cheering and energy of the crowds to help you push to the top. The feeling of getting to the top and knowing that you conquered the set of hills feels pretty darn good. I liked to watch parts of the race from previous years. Enjoy the weekend leading up to the race. 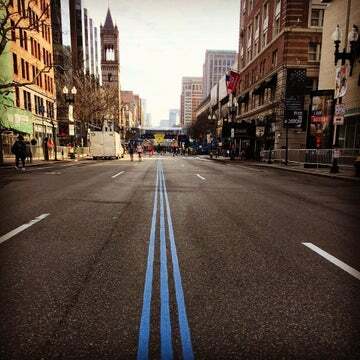 It felt like it is a big holiday for runners from Friday-Sunday in Boston. Everyone is talking about it and everything around you is all about the marathon. I spent a lot of time at the expo and the finish line. I LOVED the dinner held the night before the race. I know that it isn’t a great idea to be on your feet a lot before a marathon but I couldn’t help it. Every thing around me was so exciting and a once in a lifetime opportunity so I took it.